All of us are called to Multi-task at our jobs. You need a glove that will stand up to the abuse your hands take every day. 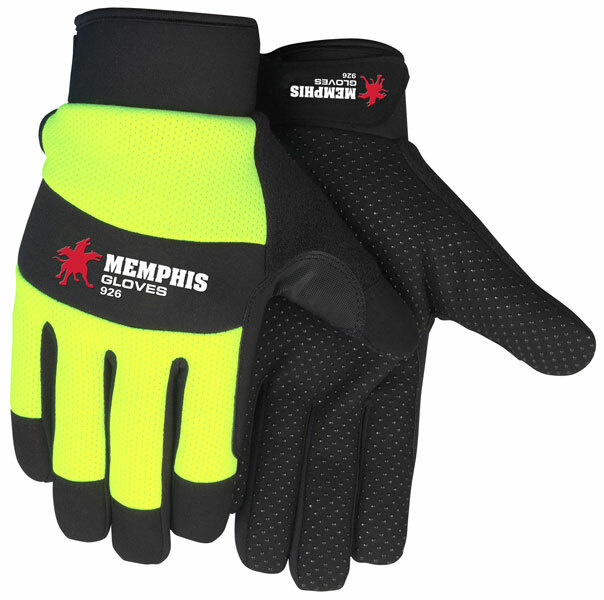 Our Memphis Multi-Task gloves will give you the grip,durability and protection you need for those tuff jobs! The 926 glove features a black synthetic leather palm and fingertips with silicone dots, black terrycloth thumb, black neoprene knucke strap, hook and loop wrist closure, lined with 40 gram Thermosock® for warmth, hi-visibility green fabric back, and is windproof and waterproof. Stay warm and dry with the 926 Memphis Multitask.